In our art studio, you will learn how to draw, paint and design with a comprehensive method of step by step approach. This method guides students to develop their skills of drawing and painting as well as improving the creative thinking to equip students to approach their own vision and aesthetics. 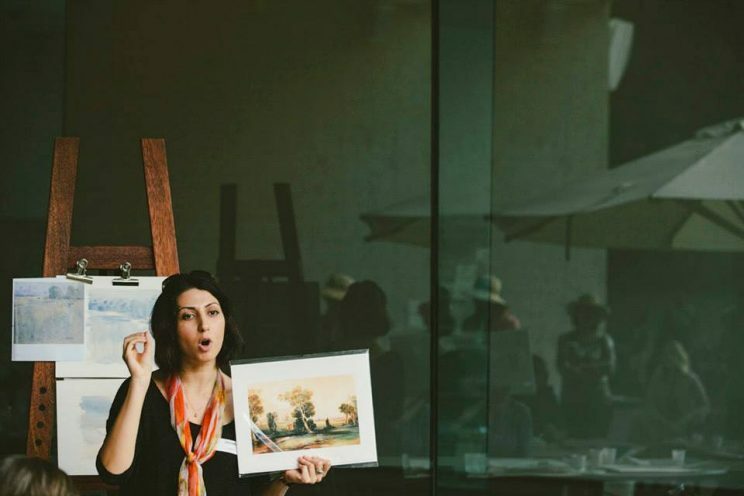 Hadieh has been teaching art for almost a decade to different age students and developed a clear yet advanced method of teaching art to different individuals based on their goals. She has been teaching art at Griffith University (at fine art, graphic design, and animation departments), as well as different art institute and galleries in Australia, California and recently in New York and New Jersey, to adults, youth and kids. She is currently teaching art at the visual art department of Union County College in New Jersey. 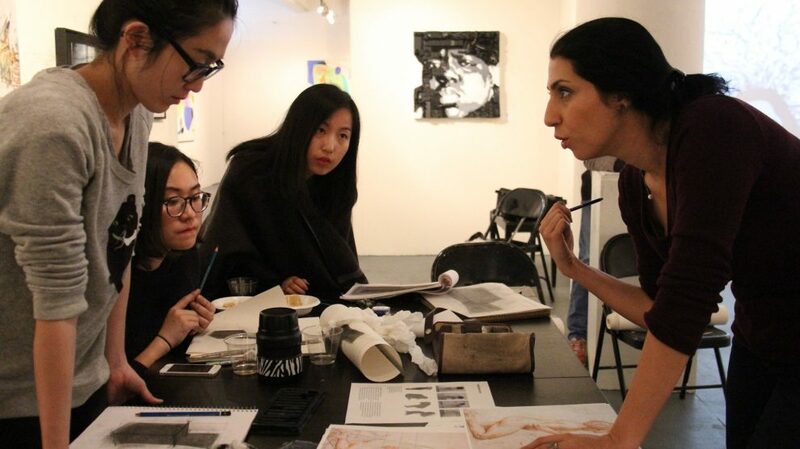 Knowing about art theory and practicing it for years at different art schools with different systems around the world (such as academic art universities, traditional atelier classes and also mentored with many great artists in their studios for years), helped Hadieh to compare and contrast different methods of teaching art to different age groups and gradually develop her own method of teaching. This method is quite flexible according to the needs and goals of individual students and proved to work. It has received numerous positive comments from students over the years. Many of them called it the best art class they have even participated! Learn how to draw, paint and design with a comprehensive method of step by step approach at Hadieh art classes. © Copyright 2015 shirinsemsar.com All Rights Reserved.